Big islands, tiny islands, mountains so high that their summits remain covered in ice all year, large forests, eroded karst formations, endless beaches, cliffs so steep that it’s hard to see the ground, and rock peaks are just some of the many landscapes that can be seen and enjoyed in Croatia’s national parks. All very different but with a common element that is always present in each and every one of them – water. From Kopacki Rit national park and Risnjak , to the Brijuni, Plitvice , Velebit , and Paklenica islands and the Krka , Kornati and Mljet Rivers, Croatia has a lot of unique natural charm and the best part is that you can visit it at any time because the light and the colors are different in each season. Simply stunning. Where do we start? 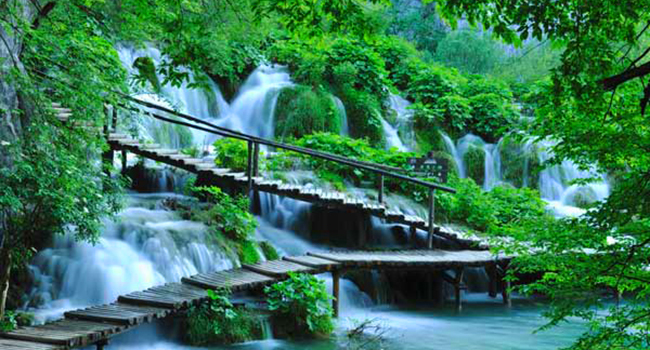 The water paradise par excellence in Croatia is known as Plitvice national park. A space of great beauty where water plays a main role. An impressive karst landscape that has been taking shape since the Cretaceous and is still doing so today. 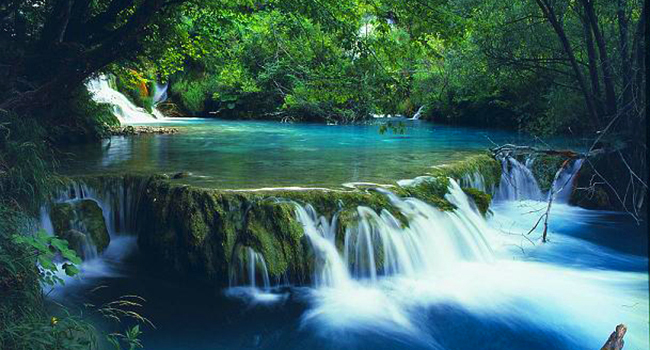 The water with its different colors, the limestone, and the moss or algae are some of the protagonists of this natural fantasy consisting of beautiful lakes that are interconnected through a hundred stunning waterfalls. It is also surrounded by lush vegetation, mostly beech, but also pine and fir trees. The landscape is impressive and it can be seen up close thanks to the marked trails and walkways that will bring you so close that you will be able feel the cool water on your face. Take care and don’t slip into the pools because they are the place where amazing species live, such as the curious Astacus crayfish, who uses river sediments to make its shell harder and the Proteus, a rare salamander that has no pigmentation. More than one million two hundred thousand visitors a year can’t be wrong. While Plitvice is undoubtedly one of the highlights of any trip to Croatia, the beauty of the Krka River national park does not have anything to envy. Turquoise waters along the 72 kilometers of rock cliffs that the force of water has been sculpting into the shape of hundreds of lakes and waterfalls splashing into deep canyons and gorges. And decorating the landscape on both sides, you will see old mills and ruined fortresses that have the charm of places where it seems that time is not measured in hours but in liters. The famous 7 waterfalls, near the town of Knin, are the source of the Krka River, but probably the most spectacular one is Skaradinski Buk, which is also the only waterfall where bathing is permitted. But there’s much more… Visovac Lake is well worth checking out for its size and depth, and because there is a monastery dating back to the fourteenth century on a small islet called Visovac Samostan. History on water! The archipelago of Kornati must have seen and experienced a lot. Thousands of years ago they were high mountains, but today there are only 147 small islands left off the coast of Dalmatia. Dazzling on sunny summer days, burnt by salt water, and eroded by the wind, on the Adriatic Sea there is a marine wonderland that is virtually uninhabited. To visit the islands, you will have to leave your car in Murter. Get ready to enjoy a national park full of caves, grottos, endless cliffs and the blue sea and blue sky contrasting with the almost white rock formations. The island of Kornat is the largest of them all, since it’s nearly 25 kilometers long – but only two kilometers wide. However, the largest port is in Pipkera. Lighthouses are another major attraction for visitors and some of them, such as the Blitvenica or Sestrice ones, have become real pilgrimage destinations. For lunch, of course, don’t miss the chance to order fish. 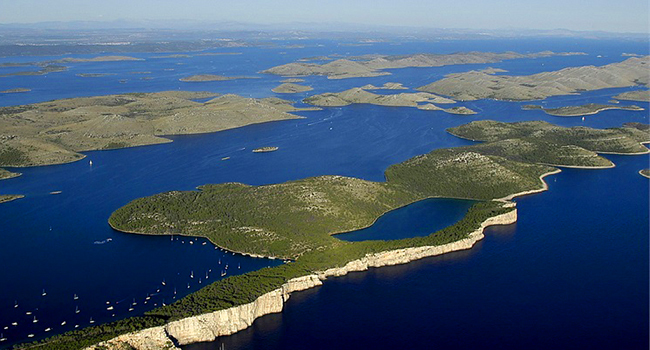 Very close to the Kornati national park you will find one of Croatia’s most splendid tourist jewels. The Telascica natural park has three wonders that makes it so special and unique in the world. First, the bay that carries its name is the largest, safest and most beautiful natural port in the Adriatic Sea. Then, there is the so called stene formations, which rise more than 160 meters above water level and descend 90 meters into the depths of the sea. The third wonder is the Mir Lake, which is located at the top of these spectacular cliffs. Its salty waters have medicinal properties. Strange, right? Wait until you see what can be found under the sea: 300 species of plants and at least as many of marine animals. A rare type of carnivorous sea sponge that is unique in the world was found at the bottom of a cave more than 24 meters deep. Don’t you want to see it? Another thing that you can’t just miss is this also water and nature-related wonder located in the city of Zagreb: the only sea organ in the world! Just sit on the steps and get ready to hear the melodies produced by the sea as it enters the 35 tubes that form the organ. What are you waiting for to visit? Discover some of the many breathtaking Croatian landscapes. 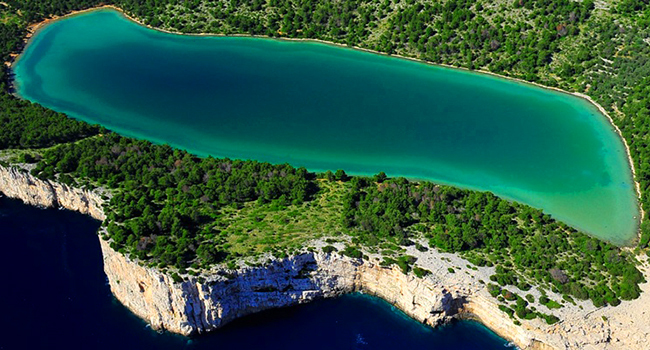 All different but with water as essential element in Croatia's National Parks. Simply stunning!